There were many instances in my life when I have seen people making small contributions towards a noble cause. I wondered how these small contributions could really make much of a dent compared to the need. I failed to look at the bigger picture. Gradually I started to realize that the quantity or the size never mattered. What is important is the love and generosity of spirit with which we give. One of our main welcoming practices here at the Collegium Cafe are the apples that we place at the entrance every day. Every week Antonio drives out to First Fruits Farms and brings back two boxes of apples. They are free to consume for anyone who enters the building. 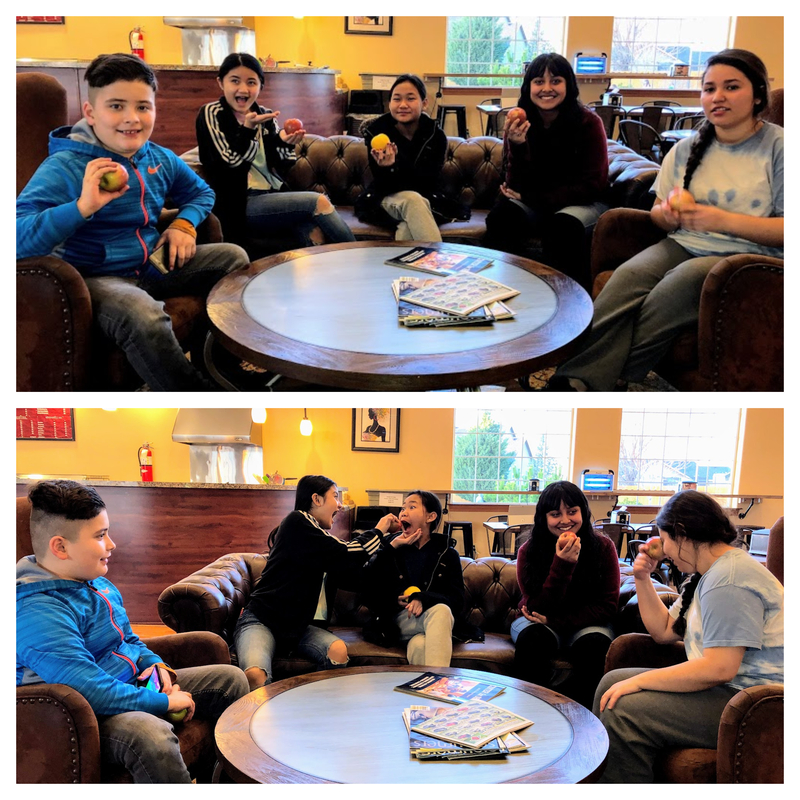 There have been instances when people walk into the Café and could not afford to buy anything but always are able to have an apple-it goes a long way satisfying their hunger. Kids usually come in after school, hungry for a snack. Here they are guaranteed an everyday treat in the form of these apples. There are many occasions when they open the door, grab an apple and leave. These apples are donated to us by the First Fruit Farms. We cannot express how grateful we are for their faithful contributions. It is common practice for the residents in the community to find apples at the Center for Sharing. A few weeks ago, we ran out. People immediately started asking where the apples were! Such has been the huge impact these apples have made. All of us at the Center for Sharing, The Collegium Café and the Tierra Vida community take this opportunity once again to thank First Fruits for their partnership in nurturing health and spiritual wellbeing within this flourishing community.